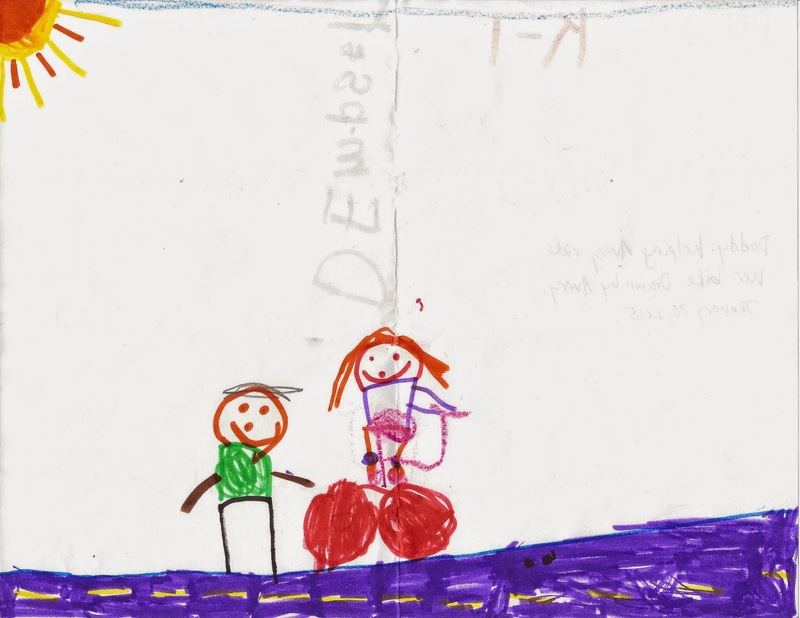 Avery drew this picture of me teaching her to ride her bike. There's even an incline for the uphill slope on our street. This makes me very happy.